The kitchen is the heart of the home and particularly in today’s more open-plan houses, it’s one that often takes centre stage. With just a few neat styling tricks, you can take your kitchen from fine to fabulous! Here are our tips on 7 great ways to style your kitchen. One of our favourite ‘go to’ styling tricks in the kitchen is to create a layered arrangement resting against a wall or your splashback. 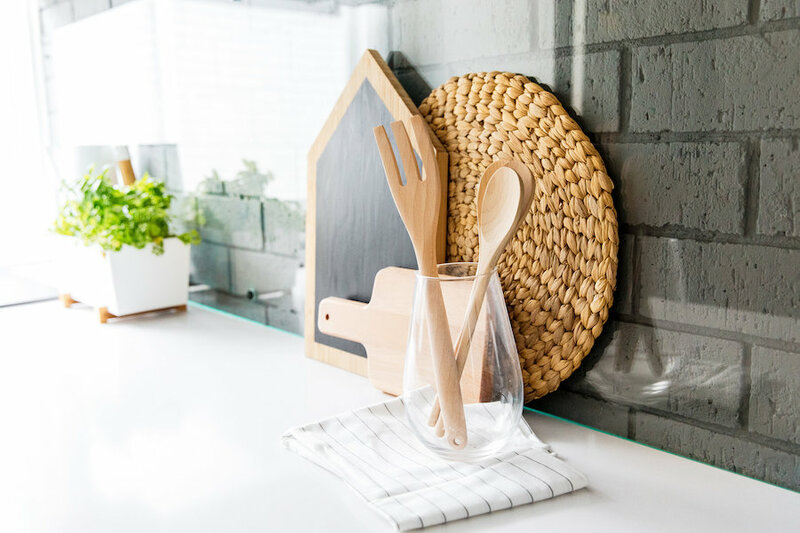 For example, a cutting board or two, salt and pepper grinders, and smaller décor pieces such as canisters or small pinch bowls instantly add style your kitchen. My top tip to getting this right is to think about ‘contrast’ — mix shapes (such as a round and rectangular cutting board), size, and materials. We’re a sucker for fresh flowers and in our opinion, one of the best places to display these is on your kitchen bench – you’ll see and appreciate them more in this high traffic area than anywhere else in the home. If you find it hard to justify the cost of fresh flowers, you could opt for a bouquet that incorporates native flowers that will last up to twice as long as other cut flowers, and we also have tips here on how to extend the life of your flowers. Also, if you’re time poor and find it difficult to get to a florist, there are flower delivery services that will deliver stunning bouquets to your doorstep. 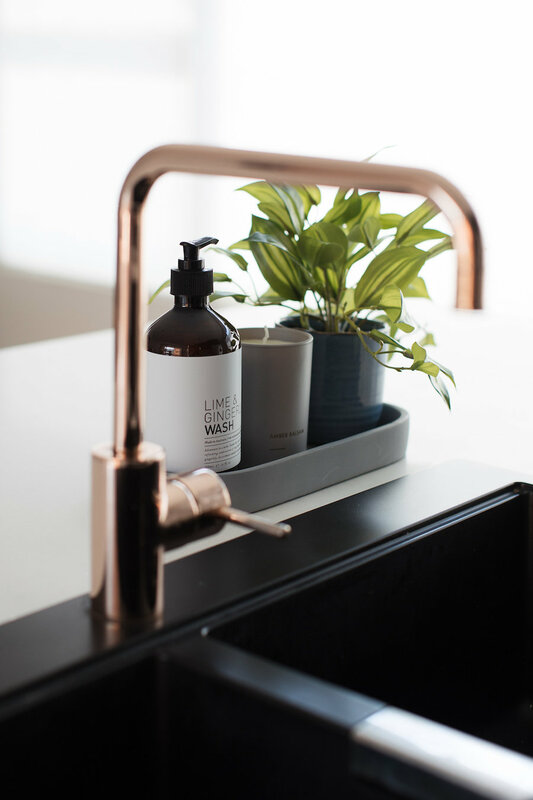 Most of us will have dish soap or hand soap next to the kitchen sink — why not turn this area of the kitchen into a stylish arrangement with a few easy steps. Simply start with a base of some kind, such as a tray or trivet. Look for soap products in beautiful packaging or place them in ceramic soap pumps. Add interest with an indoor plant and/or candle, and you can also add texture with an item such as a natural bristle brush, like a pot scrubber. Nowadays it’s increasingly common for people to have open wall shelves or a small bookshelf incorporated in their kitchen design. 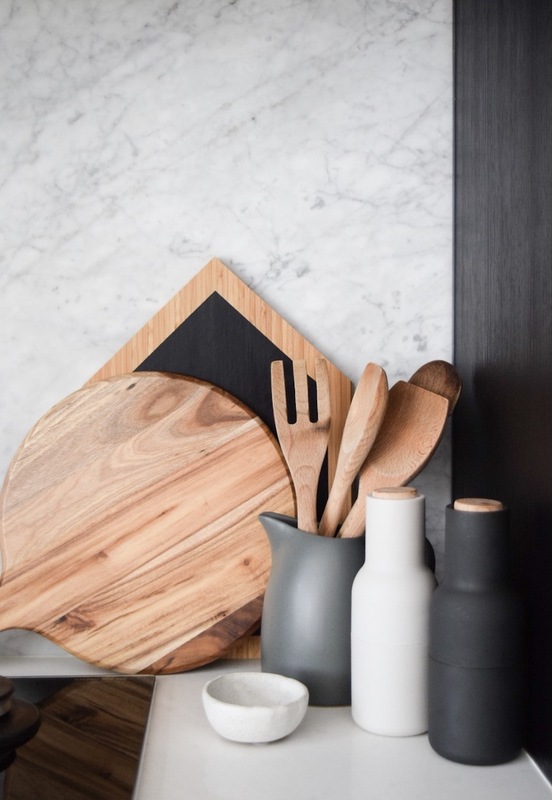 You can find all our shelf styling tips here and some ideas of products you could use are recipe books, beautiful ceramic pieces such as oil bottles or sugar bowls, art print, cake stand, teapot, salt and pepper grinders, or other items that relate to the kitchen. A functional and stylish tip we love is to place a canister or jug of utensils next to the stove. To keep this looking fab, stick to uniform utensils, such as only timber and stainless steel (rather than also bringing in coloured plastic utensils). This canister could be a standalone piece or incorporated into the larger layered arrangement we mentioned above. Wherever possible, we look to add ‘life’ to rooms. Fresh fruit or vegetables in a beautiful fruit bowel create a stunning focal point on kitchen islands. 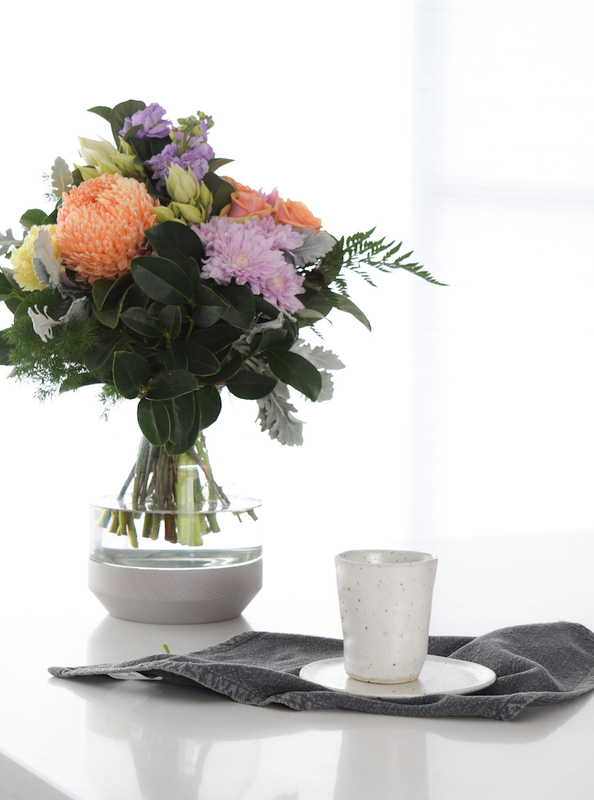 You can place the bowl next to your vase of fresh flowers or create two separate arrangements in the space. The final touch is to drape a tea towel over your sink or stove. It will bring texture and that ‘lived in’ feel to your kitchen. You might also like to watch this quick video where we show some of these tips in action. Do you have other styling tips you’d like to share? 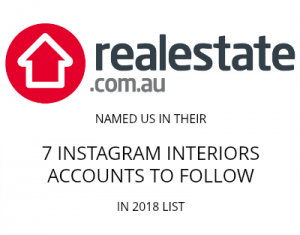 Post them in the comments below!